The ExLab: Experimental Furniture Fabrication exhibition showcases innovative furniture pieces designed and made by graduate students at the Melbourne School of Design, in the Faculty of Architecture, Building and Planning at the University of Melbourne. 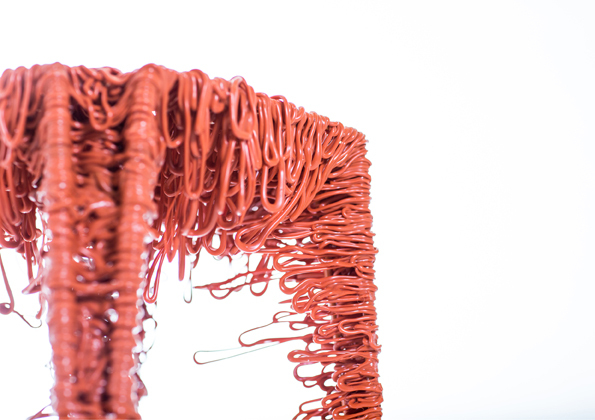 The design brief challenges students to design a small furniture piece that focuses on manipulating material qualities and making processes as a means to innovate and drive the design process. Unlikely materials feature prominently amongst the furniture, with the finished pieces exemplifying how the qualities of materials and processes of fabrication can be harnessed and used to the designer’s advantage, driving the design process to result in creating a beautiful, unusual and functional object. Monday to Friday, 9:00am to 5:00pm.